Directions - How to get to the Trailhead. Travelling from Sligo on the N4 dual carriageway branch off left for Ballina. Continue to the village of Ballisodare & take the 3rd exit off the 2nd roundabout for Ballina (N59). 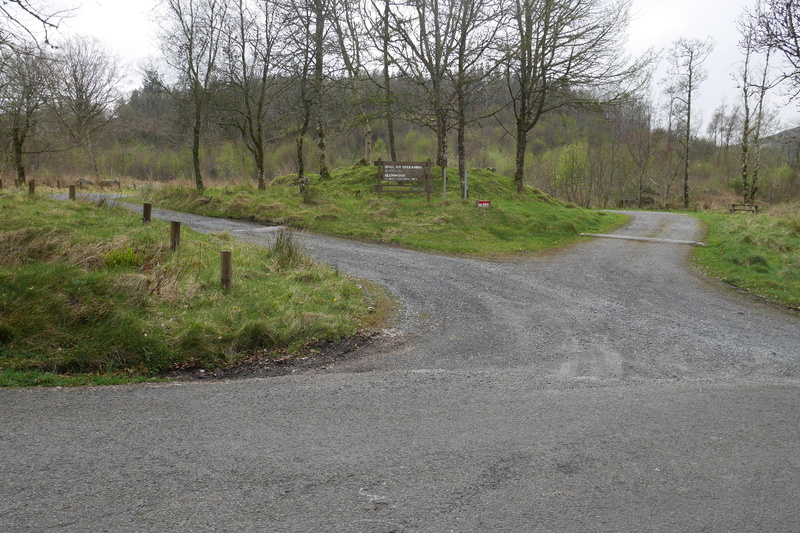 Continue for approximately 6.4km and turn left for Coolaney. After 0.4 km's take the first left for Glen Wood. There is a carpark for Glen Wood on the right after 1.6km. 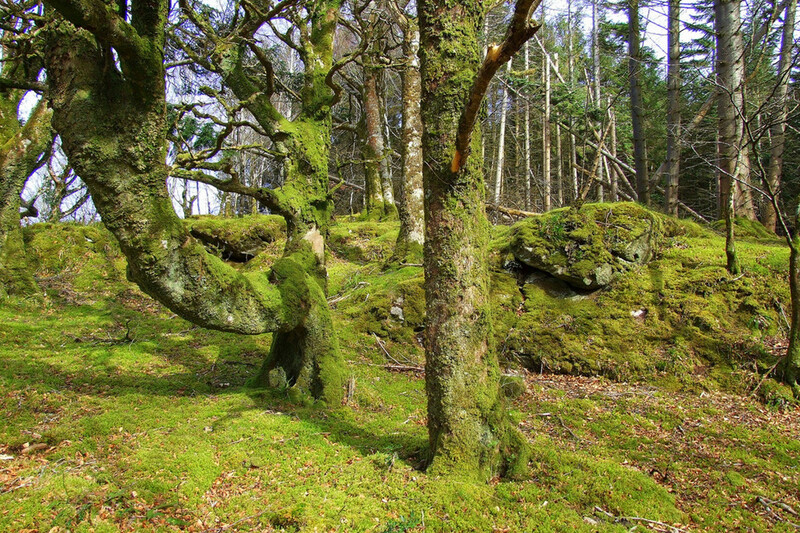 Glen Wood is a pleasant forest walk with a lovely shaded picnic area. 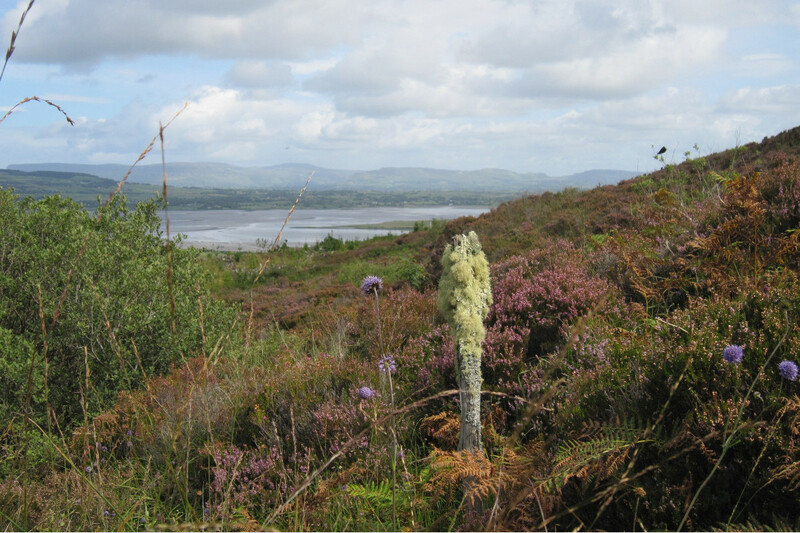 It is situated beneath some of the most dramatic Ox Mountain peaks and overlooks the beautiful Ballisodare Bay. 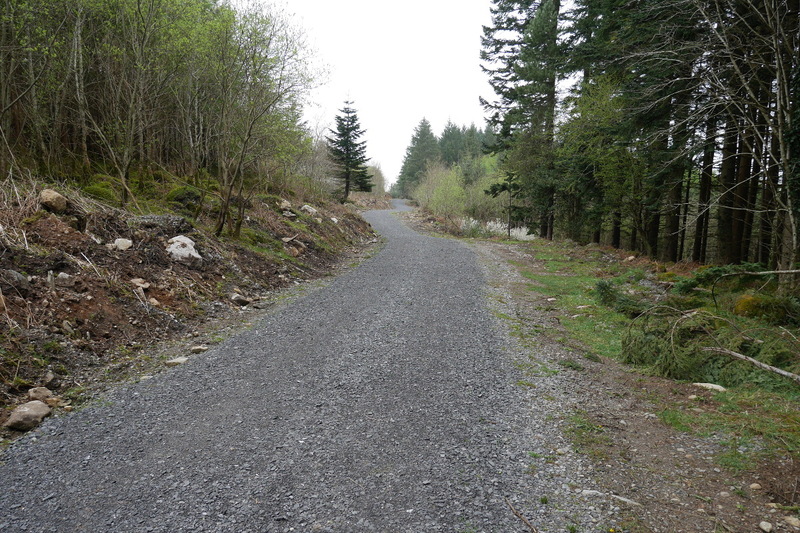 The walk is approximately 2.5km in length and is suitable for all abilities. 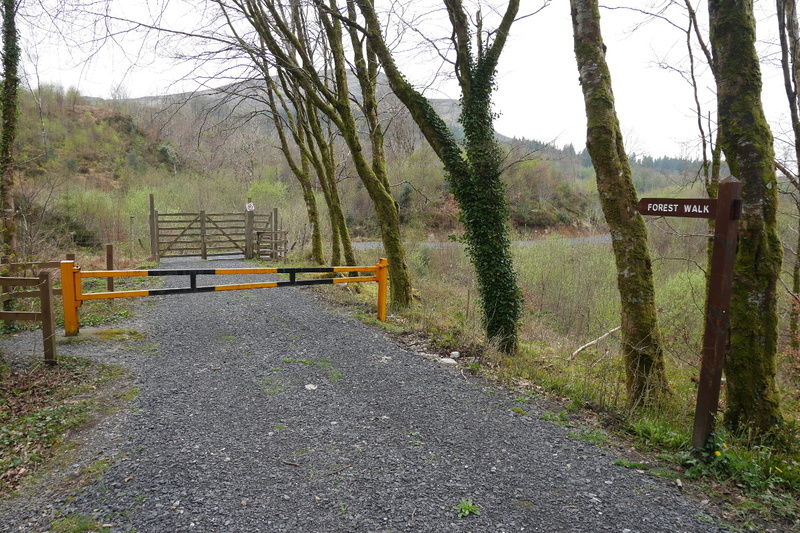 It should be noted that the initial section of the trail consists of a series of steps due to steep gradient, however, the stepped section can be avoided if not suitable for some by using the public road for a short distance to access the trail. 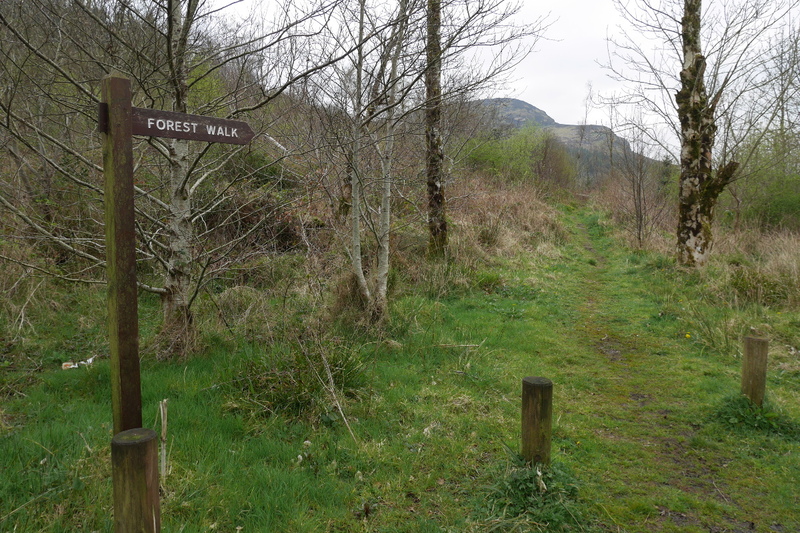 Upon leaving the car park and picnic area a series of steps leads the walker onto a onto a relatively flat all weather surfaced forest road. 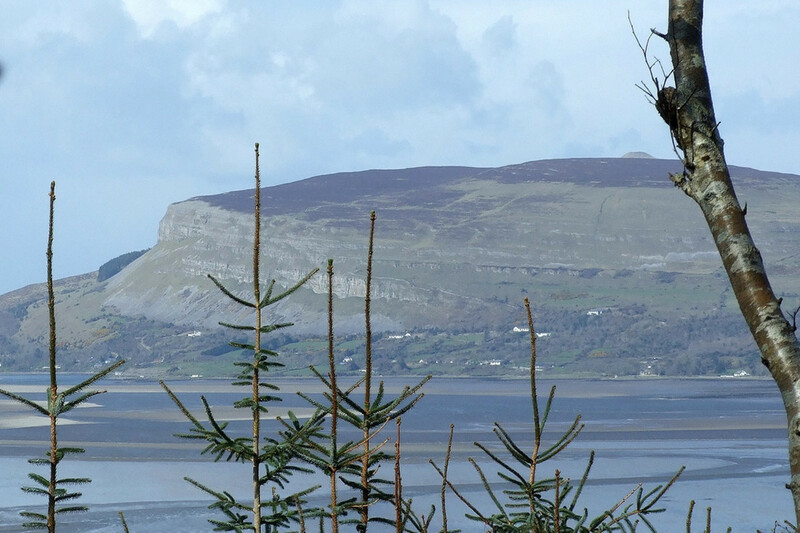 The trail is linear in nature and brings the walker through the wood providing impressive views of Doomore Mountain and intermittent but wonderful views of Sligo Bay and the dramatic scenery of North Sligo and beyond. Doomore Mountainsits above and to the west of the wood, Doomore means ‘The Large Mound’, which refers to the large cairn on the summit. Preserved above Glen Wood are the remains of an upland farm settlement including a field clearance system dating back to the middle 1800’s. Nearby, some two hundred metres south of the car park, on the right hand side of the public road is a rock known as the Hungry Rock. 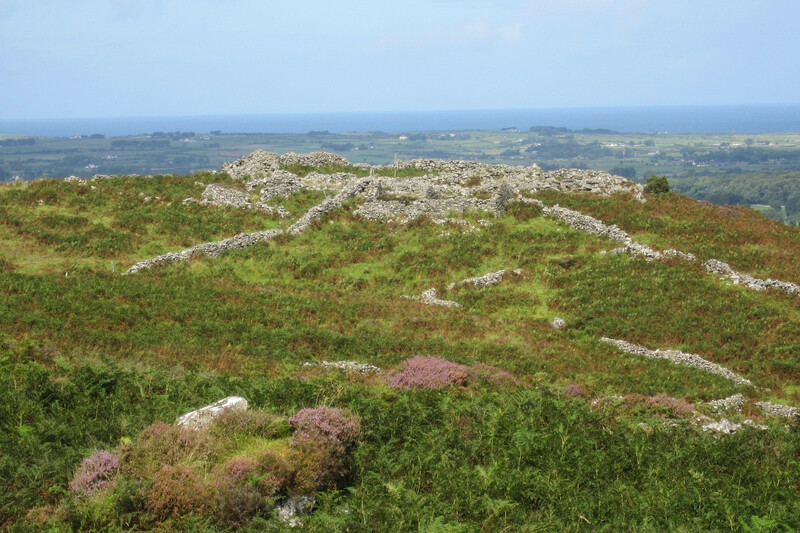 It is said to have gotten its name from the number of people who died on the road during the famine in the 1840’s, according to folklore whoever throws a stone at this rock will never know hunger on his journey.